Swimming is an absolutely fun activity, sport, diversion, hobby or whatever you might want to classify it. But more than just the fun, it has an array of health benefits that are very good for your body. Swimming, depending on what you like to achieve, is a good exercise basically for all of the muscles in your body. Regular swimming can generally develop and improve your body's physical strength and cardiovascular endurance. You can exert similar amount of energy as what you would to complete a 5 kilometer run in a threadmill and restore it back twice as fast as opposed to running. In other words, swimming is a low effort, high health gain type of activity that you will enjoy all at the same time. 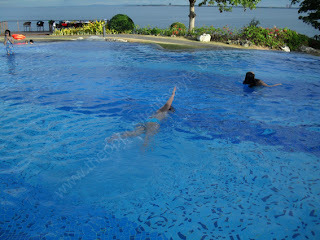 Swimming is also good when you ought to burn some calories in your body. It is ideal when you are the type of individual who is not so motivated to do strenuous outdoor land-based type of activities to lose weight. You can burn almost an equal amount of calories in swimming as to running without getting too tired. This is because our body's weight in water is lighter than it is on land preserving your energy and keeping you from exhaustion. Swimming can also improve any existing breathing or lung problems. What people normally give less attention to when they do land-based exercise is proper breathing. But in swimming, you will exert the same amount of effort in synchronizing your breathing to each stroke your arms and legs do in the water. And as you do this time and again, your lungs get the sufficient amount of work out it needs to function normally. Swimming can also reduce back pains, muscle and joint pains, arthritis and the like. When you swim, you get to stretch your joints and muscles and arch your spine and these will unclog and untie any constrained veins and nerves in your body allowing blood to circulate effectively. And best of all, swimming can improve your wellness because it will stimulate your body and will give a relaxing effect on your mind keeping you from any kind of stress and anxiety.